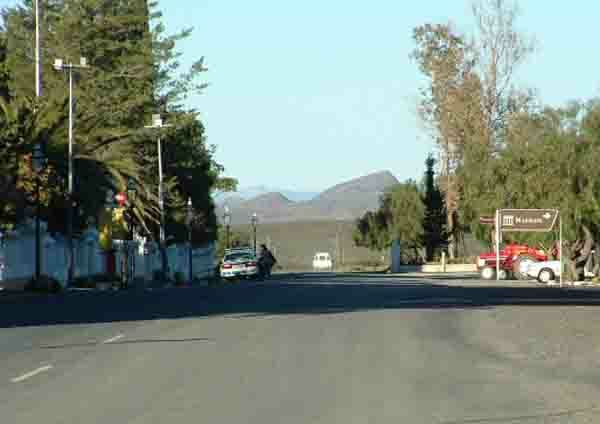 Matjiesfontein is a small dorp (village) in the middle of the Karoo about 250 kilometres from Cape Town. The little village has a rich history which dates back over a 100 years. Before it became famous it was a wayside station set in the wilds half way between Laingsburg to the east and Touws River to the west. Back in 1883 this little backwater town was discovered by Jimmy Logan a Scottish immigrant who was born in Reston Berwickshire. Jimmy arrived in South Africa by chance. He was on board a sailing vessel which became waterlogged off the Cape Peninsula and had to put into harbour in Simonstown. He decided that he had had enough of the sea and with five pounds in his pocket took leave of the ship and made his way to Cape Town to find himself a job. As he had worked on the railways in Scotland he was soon able to find himself a job as a porter earning 5 shillings a day on the station. He showed outstanding ability and soon began his meteoric rise through the ranks. At the age of 20 he was appointed stationmaster of the newly completed Cape Town station. At 21 he married his bride and was promoted by the railways to district superintendent of the stretch of line between Hex River and Prince Albert Road. He moved to Touwsriver which is about 55 kilometres from Matjiesfontein. The timing of his move to Touwsriver was excellent as diamonds had been discovered in Kimberley and thousands of people were streaming through to the diamond fields. At that time there were no dining cars on the trains so people had to cater for themselves. Logan saw the opportunity to provide food for travellers on the trains and obtained his first concession for a refreshment room on Touwsriver station. He also leased the Frere Hotel from the railways in the same year. Logan's businesses were taking off. When Logan arrived in the Cape he had had a chest problem but after a year or two in the Karoo he was cured. He found that the dry air suited him so he decided in 1883 to move his whole family to Matjiesfontein. Once there he obtained the concession for the refreshment room on the Matjiesfontein station. Over the next 10 years he developed Matjiesfontein from a wayside station into a Victorian health and holiday resort. Matjiesfontein attracted the rich and famous of yesteryear including the likes of Olive Schreiner and Cecil John Rhodes. 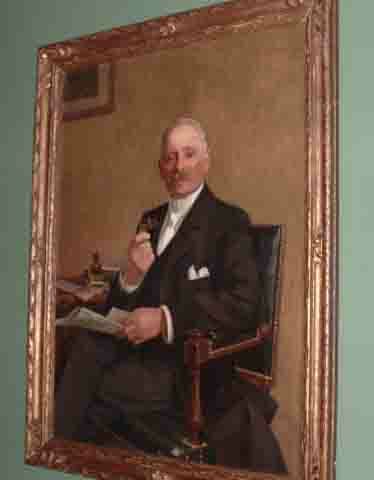 Logan became known as the laird of Matjiesfontein. During the Boer war a large British remount camp was set up on the outskirts of the town. In it were housed 10000 troops and 20000 horses. Today if one walks in the veld one can still find rusted bully beef tins left behind by the British troops. 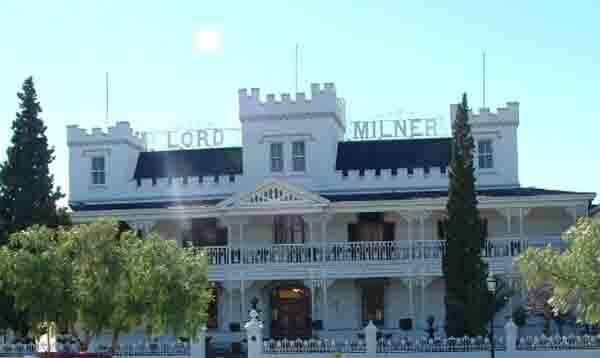 Logan also built the Milner Hotel in the town and during the Boer war part of it was used as a hospital for British officers. The hotel is built with three turrets and the centre turret was used as a lookout post by the British. The centre turret is still there today and is accessed by climbing the grand staircase from the ground floor to the upstairs landing from which there is a very steep and narrow staircase to the top. The view of the mountains and the station from the turret is good. Unfortunately for Logan after the Second World War the resort fell into decline and eventually into obscurity. Although far from civilisation the village maintained its potential and eventually in 1968 it was bought by David Rawdon who set about refurbishing it. We arrived in Matjiesfontein at about lunch time after a leisurely three hour drive from Cape Town. It took three hours because we drove over thedu Toit's Kloof Pass and ignored the tunnel. It costs R17.00 to drive through it to save about 15 minutes driving time and to miss the lovely scenery that can be seen from the pass. On the old road there is a tunnel which is about 200 metres in length and by the time you have found your headlights you have driven through it. This drive is really spectacular with high mountain peaks covered with fynbos on the one side and spectacular drops on the other side. 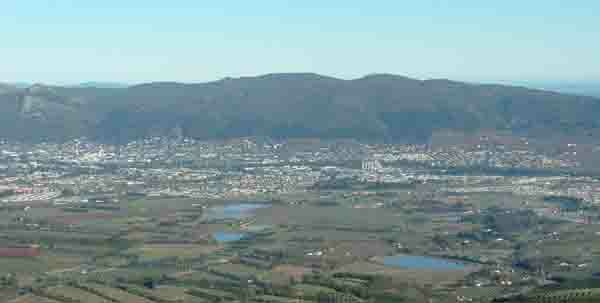 The Paarl/ Wellington valley with the Berg river running through it is a sight that one will drive miles to see. Sadly with the advent of the Huguenot tunnel many people ignore this beautiful drive in their quest for speed.. After driving through the pass with its high mountain peaks and its many small waterfalls we enter the Breede River valley near Worcestor. For the next hour we drive through some of the most spectacular scenery as we pass through De Doorns and into the Karoo. 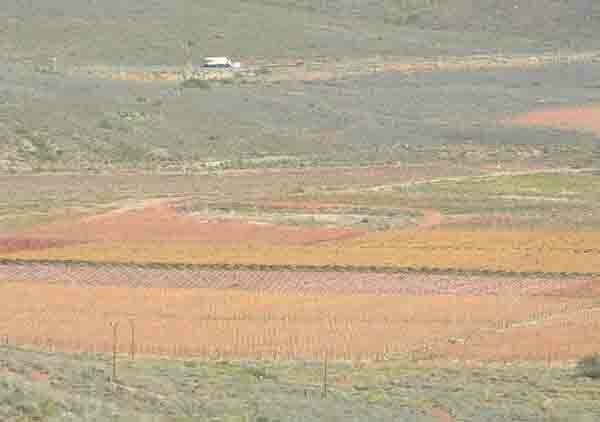 De Doorns is a grape growing area and as its winter in Cape Town at the moment the vineyards are a kaleidoscope of reds and yellows as the leaves change colour and fall from the vines. There must still be some grapes left on the vines after the harvest as the locals are out in force on the N1 trying to sell some of the fruit to passing motorists. 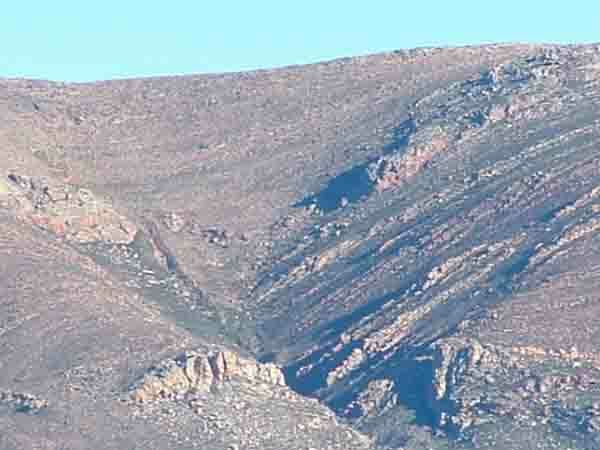 After we leave De Doorns we enter the Karoo itself and here the scenery changes again. Instead of vines we come across vast fields of Karoo bush and mountains and hills of all sorts of shapes and sizes. I've never bothered with the scenery before but this trip I really enjoyed it. On both sides of the road we have these fantastic formations. The mountains look like waves on the sea that have been pushed up and then have been whittled down in places by the weather. The formations and the colours are simply out of this world. Normally the bush is dry and the veld dusty but it appears that there has been some rain and everything is lush and green. After driving through this landscape for about an hour we eventually arrive at Matjiesfontein which is situated in a valley on the banks of the Bobbejaan River. The first thing one sees as you enter the village is the Union Jack. A British village in the middle of the Karoo and Afrikanerdom. Driving into the village along its short main road on the left you will find a series of buildings. They are the Losies Huis (Boarding House) the Coffee Shop, The Post office and Olive Schreiners House, The Laird's Arms (which is the local pub) and the Lord Milner Hotel. Across the crossroad is the Reston Villa which has been turned into a Museum for old motorcars and trains from times past. 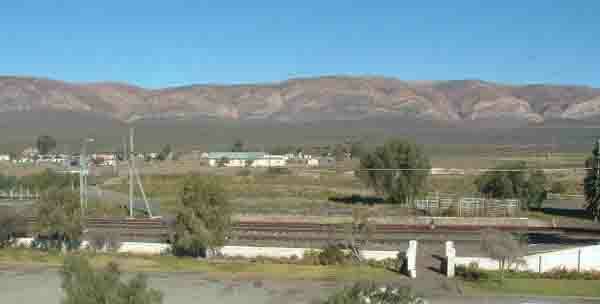 Opposite all this is the Matjiesfontein station where the Blue Train stops for an hour on its journey north and south. Looking at all these buildings from the main road all you see are some old fashioned refurbished buildings. How mistaken can you be? The buildings are entrenched in the past. 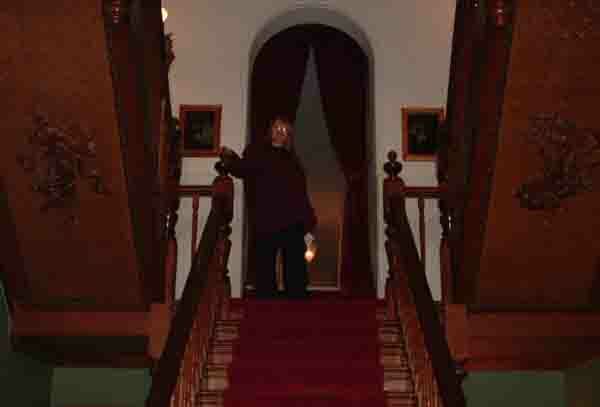 Enter the Lord Milner Hotel and the first thing you see is the Grand Staircase to the upstairs rooms. The entrance hall is inhabited by the hotel cat who is there to welcome guests. On the walls are paintings of Logan and other characters who make up the history of the hotel. To the right a door leads off to the diningroom with its wooden floors which echo when you walk on them, Even the lampshades are dated and look like bobbies helmets in bright red. To the rear of the hotel is a lounge which was used by Logan and Cecil John Rhodes and still contains some of the original furniture of the period. Logan was an avid cricketer and arranged a cricket match in the town a hundred odd years ago. The trophy that the teams played for is displayed in this lounge along with a grandfather clock and another wall clock which is over a 100 years old. Another building which is worth a mention is the Laird's Arms. It is decorated in Victorian style with pictures of Queen Victoria hanging above the bar and a fireplace which dates back at least a 100 years. The counters are dark wood with mirrors and other historical items making up the backdrop to the bar. 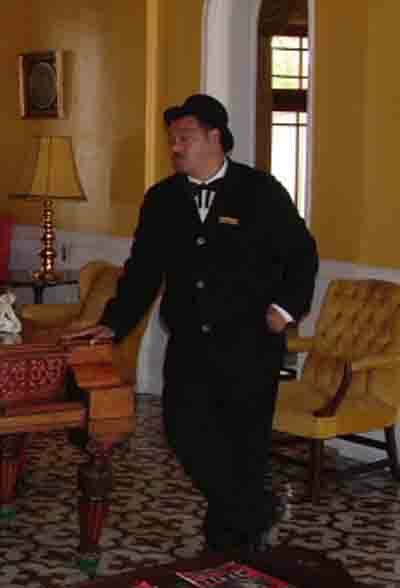 Johnny the local tour guide, dresses for the part in a suit and a bowler hat with a bow tie thrown in. He has many jobs in the village. He shows people around the estate driving the old London bus. He also drives the tractor which takes visitors on tours, plays the piano and sings in the Laird's Arms in the evenings and doubles as a waiter if required. Just ask him to speak like Nelson Mandela and he will give you a speech that would leave you with the impression that the great man was in the room with you. 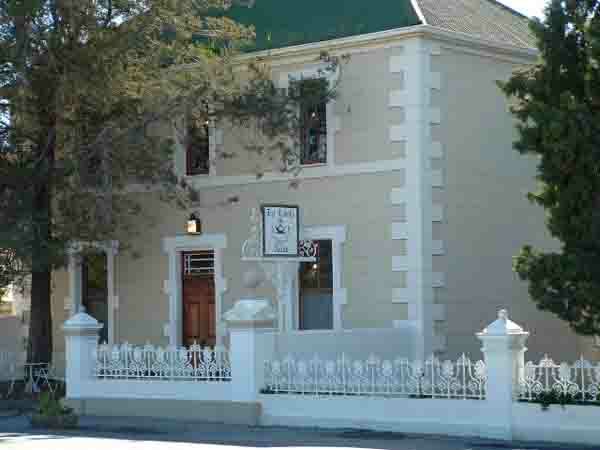 While visiting Matjiesfontein one is always aware of the history of the place. In the local graveyard not only will you find graves of some of the locals who have passed away there but also graves of the hotel parrot and dog. No visit to Matjiesfontein is complete without a visit to the Matjiesfontein station. Walking along the platforms will not prepare you for the history beneath them. A visit to to the Marie Rawdon Museum is a highlight for those with a love for history, and especially railway history. 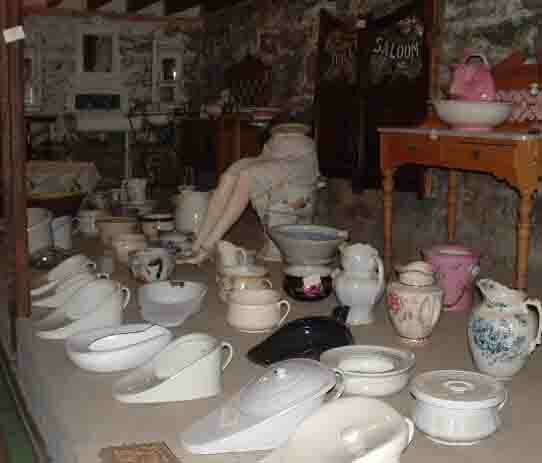 You will find everything from a needle to an anchor and more in this museum and I am sure if you visited the downstairs displays at night you would meet some of the ghosts that must surely live there. Why not treat yourselves to a visit to this popular hotel in the middle of the Karoo for a night or two and be amazed at the absolute silence you will experience there at night. For those who are interested, the rates are reasonable, the food is good and the rooms are comfortable.